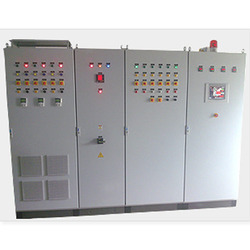 We are an expert manufacturer and supplier of highly effective PLC Control Panel that are capable of giving higher output while consuming less power. Fabricated from quality basic components, these HVAC panels are blessed with the Bolted Construction that allows extension of the panel from both sides. We also offer customization facility for this range along with the affordable price tags.